We enjoyed our two nights at Beast’s location. It was interesting to see the vegetable fields on the way, and nice peaceful nights listening to the owls. Although we didn’t use water or power, it was available to us if needed. Beast is clearly an expert host and we appreciated his hospitality! We stayed 2 nights and it was great. Best set up electricity and water for us. His property is surrounded by orange trees. We were able to pick as much as we wanted. We thoroughly enjoyed our stay with Beast. They were welcoming and helped us get tucked in. 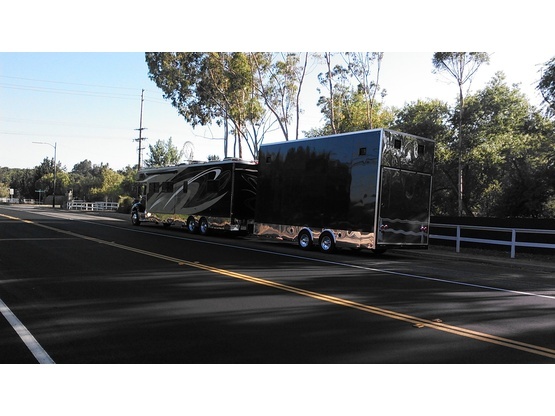 The property is lovely with a lot of trees and plenty of space for our rig. Thank you again! Robert is a grate host. We stay at his adorable ranch. ...at a beautiful, private and tranquil location with very accommodating hosts. Thanks for a great stay! Great location and great spot to camp! Level ground and only 25 mins to the beach! The 30amp hookup was amazing! Would recommend! Thankyou for your hospitality over our 3 night stay. We got to see a little more of the countryside AND we were still close to shopping and the beaches. A lovely camp spot under the palm tree and lovely hosts. Beast host was welcoming and very pleasant. Kindly offered 30 amp electric hook up, trash disposal, and top off of water tank. Plenty of room to exercise my dog. Would recommend visiting the beautiful property. Awesome stay and hosts. Just what we were looking for. Great 30amp and water under a palm tree. Thanks again for letting us stay and for the oranges! Very accomodating hosts. They were awesome!! This spot was nice and quiet. Great shade from the trees. It was very level, so quick setup for us. We felt safe enough to leave our windows open while we were gone. The hosts generously provided us with 30amp hookup and the ability to fill our water tank. Couldn't have asked for a better host for our first Boondockers Welcome experience. Nice, level gravel parking spot with 30 amp electric made for a nice convenience. The location is very close to downtown Fallbrook which many nice restaurants a couple of large grocery stores. If you are lucky, you might get to see his incredible handy work on the Jeep and dune buggy he built from scratch. This is a great quiet place to stay. Our host was awesome and provided a hook up and water. He showed us his rig and gave us some great tips for staying in the area. He was great and totally accommodating to our two kids who were with us also. Lots of space to park and within 30 min from a beach. We stayed 2 nights. Thanks again for the safe place. Nice quite place with lots of space. What a big property and what a lot of oranges. We liked his stories and his rig! Thank you for everything. This is a great spot that can easily handle larger RVs parking on a wide gravel driveway among their orange trees. “Beast” was very helpful from directing into the parking spot, providing water, 30 Amp and even a dump to graciously offering their oranges (I used a few to try my hand at canning orange marmalade). We stayed 3 days and they invited us to stay longer as there was no one else coming (we did not). We visited Oceanside Pier, Oceanside Sunset Market and Myrtle Creek nurseries/botanical gardens. Thanks for the hospitality! This host was incredibly accommodating and kind to us when we were in so cal for some family business that was very stressful and difficult for us. Beast was kind and generous and we are very grateful for their hospitality. More people in the world should be like these kind folks. Beast was so accommodating and generous with his space! We only stayed one night but we felt very taken care of and would definitely stay again! We even left with a fat bag of tangerines form his orchard! What a guy! We really enjoyed our stay at Four D Ranch. Robert, Debi and Blondie make for gracious host providing 30amp power, water and dump if needed. We enjoyed some fresh tangerines right off one of the many trees. Super nice couple! I don't think we could have had any better hosts as our first ever BoondockersWelcome hosts than Robert and Deb! So wonderful and inviting. Beautiful surroundings. Thanks for a wonderful stay. I was fortunate to stay at this beautiful property during the height of orange blossom season! So wonderfully fragrant! Beast has tons of space and I was on a level concrete drive with access to power, water, and was even offered dump. I didn't need any of it, but was grateful for the offer. The property is in a beautiful part of So Cal - rural for the area (although not in comparison to other areas of the country). It was easy to find and very easy for any size rig to maneuver. Robert got back to us promptly and he gave us great directions how to get to his place. There is plenty of space next to some beautiful orange and palm trees to park. We even enjoyed some of the fruit off of his trees. Great stay! loved our stay with beast! we could stay with beast for three nights on their gorgeous property and could use the time to do some maintenance on our RV. Debbi and Rob are a very nice couple and we hope to meet them again someplace somewhere! Thank you! Beast welcomed us to stay on his beautiful property with same day notice. He was super friendly and accommodating. Thank you for having us and gifting us with the best oranges we’ve had in our lives! We really enjoyed our visit and appreciated having a quiet place to sleep before our beach ventures. Thank you! Hope to return next year! We had the opportunity to host this family in Minnesota and they returned the favor hosting us in California.. They went out of there way to show us the areas sites and told us there favorite spots and restaurants. We were so blessed to be able to spend time up at Robert and Debi's home. They were so helpful with all of our needs and questions about the area. They have a wonderful setting with everything we needed and a friendly little dog named Blondie. Their orchard was full of beautiful oranges and tangerines and they shared them all with us. Robert could be a cruise director! He knows all the great spots to visit and a fistful of brochures to help us find our way. We had the pleasure of hosting them once and now we got to share their lovely place. I highly encourage anyone looking for a place to Boondock near San Diego area to contact them, you won't be disappointed! Thanks for your generosity to us. Hopefully our paths will cross again Debi and Robert. Until then, Happy Trails! this was our first time to use boondockers welcome, and we couldn’t be more grateful. the parking area was spacious on a lovely property, 30 amp electric was provided as well as an on site dump and any citrus we could pick ourselves. the location is close to so many activities, great hiking, walking around the oceanside pier and harbor. Our host was kind, generous, and even gave us a huge locally grown avocado on the way out!! thank you so much for being such a great host, we definitely hope to stay here again! Had a wonderful stay and we thank you very much for the use of hydro and access to water. We are especially grateful for your generosity in helping repair our water and battery issues, we are indebted to you. Highly recommend this location and hosts. We stayed at Beast's place for 4 nights. There spot is just great, plenty of space, ameneties, very quiet, close to the beach and cool San Diego! We would visit them anytime and would totaly recommand them! Thank you for the lovely stay!! Quiet, peaceful spot about 25 mins. from Oceanside. Friendly and generous hosts- nice to plug in and keep our battery charger, etc. We really appreciated this! Our family had so much fun at the beach; then, we had a safe restful spot to park! Hope to visit again sometime! We were welcomed by our friendly hosts to a quiet rural property part way between the ocean and wine country! There is lots of room here and we were even offered electric, water and a dump! This is a nice respite from the busy tourist areas along the coast. We really enjoyed staying on their property for a few days. They even let us hookup to their power. Very quiet and great location. We were two days to visit. Very large place. Water, Dumping and electricity are available and can be used. Beast are very friendly and helpful. We can any time recommend this Hosts. We had a great stay Beast's place. They let us and our kids use their driveway and were available if needed. We really appreciated our stay. Didn't know that places like that existed in the area. It was remote and very nice. It rained a couple days before I left and the road out was blocked. I had to take a different way out; not a big problem. If you're in the area, stay here. Beast was very accommodating to us and let us stay last minute. Make sure you listen to the his directions; Google Maps will lead you to the wrong place! We had a great experience staying with Beast. We reached out to them last minute and they responded immediately and graciously agreed to host us. The property was private and easy to maneuver around. They provided us with water, 30 amp electric, and a place to dump at the end of our stay. It was less than an hour away from the San Diego coast which made it easy for us to get out and explore. He is very handy and was kind enough to spend some time trying to fix our broken refrigerator. If we are ever back in the area, we wouldn't hesitate to reach out to them again. The host couple are so nice and the property is very beautiful and big. They responded us in several hours and saved us from changing our travel plan. Robert helped us a lot to set up our RV. We stayed for 2 nights and picked a lot of oranges in their yard. Wonderful experience and many thanks! It was a pleasure to meet Beast. They hosted us on their beautiful property on June 14th. They were excellent Hosts. PS: Thanks for the tour of your rig and thanks for the fresh oranges. Our host was very welcoming/friendly and can absolutely accommodate any size rig. He offers full hookups too. We aldo got to leave with a large bag of delicious oranges from his trees. It's a bit of a drive to San Diego from there (we went to the zoo) and the roads to the property are a bit curvey. The surrounding area is rural and quiet. We stayed 2 nights and enjoyed bring there. We stayed here 2 nights. The spot is really good. Our hosts were friendly and made us comfortable. Nice people, Nice dog and good oranges!!! We had two nice nights here. Kids loved the dog and picking oranges and we enjoyed a quiet stay hosted by this very friendly couple who, with all the help we got, made it so relaxed. Truly enjoyed our stay with Beast. Loved taking walks through their bright, quiet neighborhood with all the colorful flowers and citrus trees everywhere. He was considerably helpful and funny. And he cooked us a whole chicken that we won't soon forget!